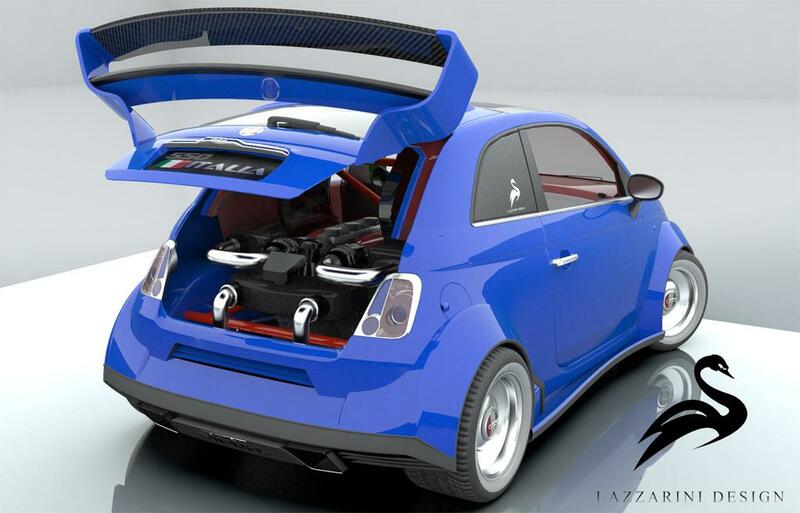 Lazzarini Design has proposed this outrageous Ferrari V8 powered Fiat 500 project. 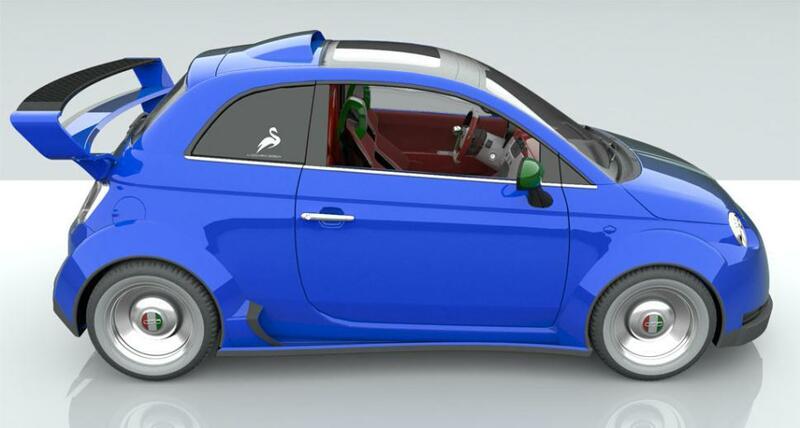 Dubbed "550 Italia", this little beast will be powered by a detuned version of the 458 Italia's V8 that will produce 542 hp after the treatment. Unfortunately/fortunately, this project is still on paper and the company is still looking for an investor who is willing to spend $550k to make the 550 Italia a reality. Why does it looks small? Because it is small. 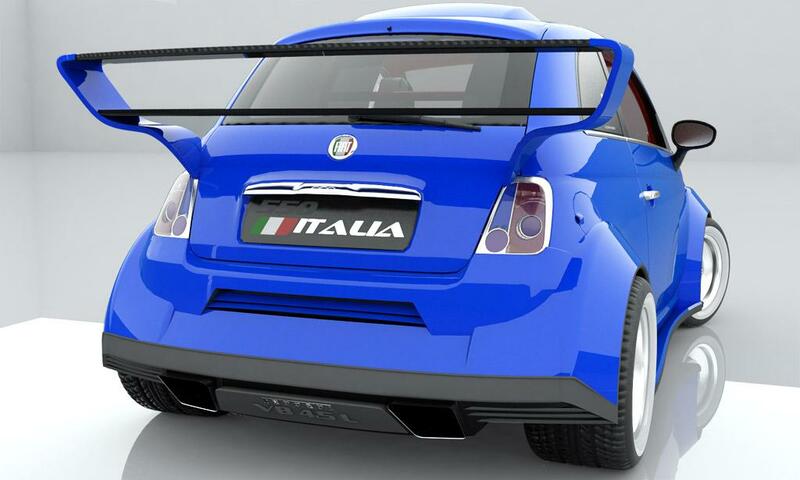 It's based on the fiat 500 which is no longer than 3.54 meters. That's why it'd be very interesting to see how it will behave with that big Ferrari V8 at the rear! 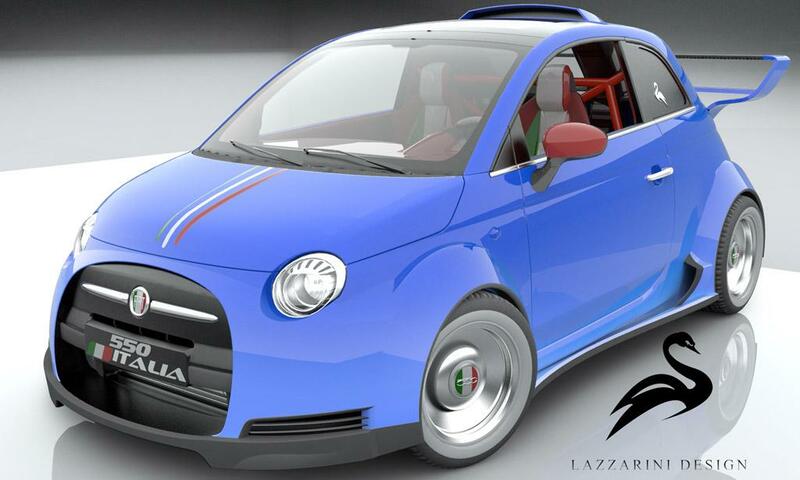 Looks like the old Ford Sport Ka ?